Thanks to my recent discovery of Alice Medrich's book "Flavor Flours", I've been playing around with recipes using a variety of alternative flours - and I've only begun to scratch the surface. They happen to be gluten free, although that was not the primary reason for my experiments. I'm intrigued by the many options now available to both the baking and pastry enthusiast and pastry professional. Always learning, always testing, always trying new things. That's what it's all about! First off - coconut flour. 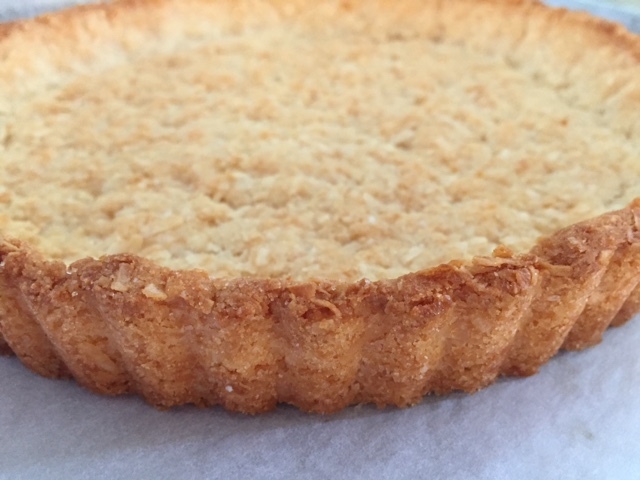 This recipe is for a tart crust, and it is, in a word, DEElicious - very reminiscent of the quintessential American coconut macaroon. It's easy to put together. 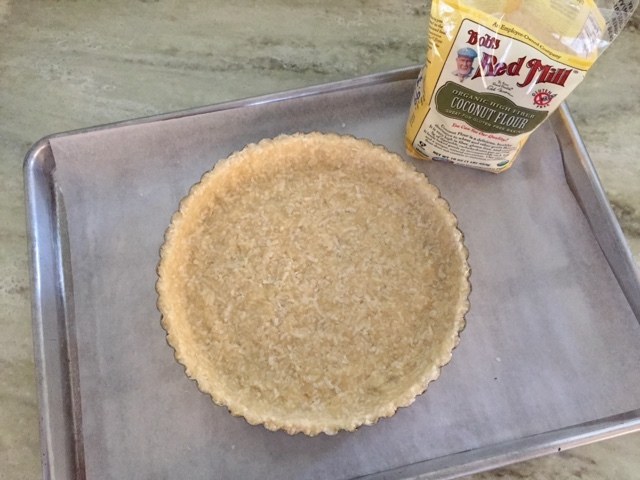 Combine 40 g coconut flour, 100 g shredded unsweetened coconut, 1/4 teaspoon baking powder, 1/2 teaspoon salt, 85 g soft unsalted butter, 100 g sugar and 1 large egg white in a bowl. Mix until the ingredients are blended then press evenly into a 9" fluted, removable bottom tart pan, making the sides thicker than the bottom. Heat your oven to 350ºF, set the lined tart pan on a parchment lined baking sheet and bake 18-20 minutes until nicely browned. Let cool for 15 minutes or so then push the bottom up to free the crust from the pan and loosen the sides. Finish cooling for 2 hours before filling. Now here's where I leave the filling up to you. 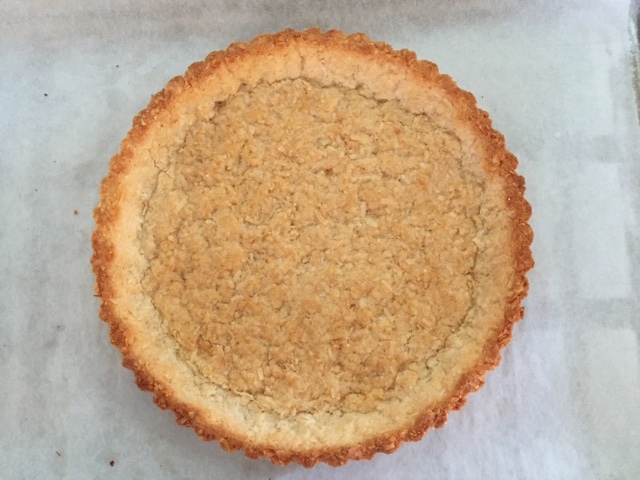 I filled mine with coconut pastry cream made by replacing the whole milk in my standard recipe with coconut milk - yum. Then you have the option of topping the tart with mango slices, mixed tropical fruits, mixed berries or whatever your heart desires. Or how about a nice chocolate ganache filling topped with a sprinkling of toasted coconut? Or fill the crust with some toasted, chopped nuts of choice mixed with some homemade caramel then cover with a whipped milk chocolate cream. Or perhaps a luscious lemon-lime curd with some finely diced crystallized ginger? Next up - oat and rice flour. 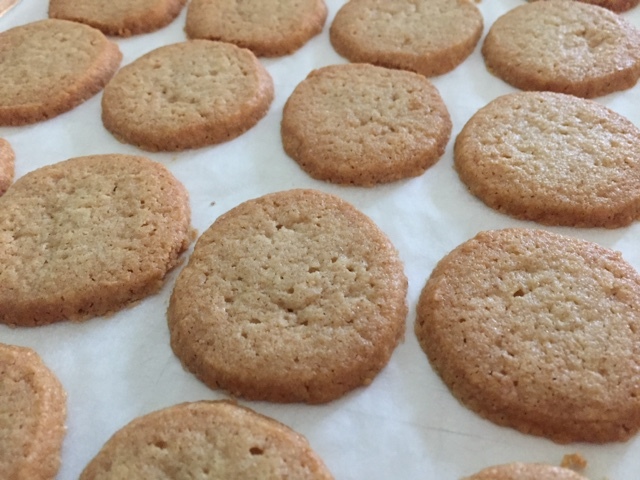 This one is an oat sablé recipe (and you know I'm a sucker for shortbread!). Whisk together 140 g oat flour, 55 g white rice flour, 1/4 teaspoon salt, 1/8 teaspoon baking soda in a large bowl. Add 130 g sugar, 60 g chunked up cream cheese, 170 g chunked up soft butter and 1 teaspoon vanilla extract and mix with a fork or spatula to blend into a smooth dough. Form two logs about 1.5 inches in diameter (or whatever diameter you wish), wrap tightly in wax paper or film wrap and refrigerate for at least 2 hours or overnight. You may also freeze the dough for up to 3 months. First I did the log approach. I sliced rounds and baked at 325ºF for 12-15 minutes until nicely browned. The cookies did spread a bit, something I'm suspect has to do with the difference in structure of a non-gluten dough. Plus the ratio of sugar to the total flour is higher than my typical shortbread and could also contribute to more spread during baking. It's a learning curve to be sure. 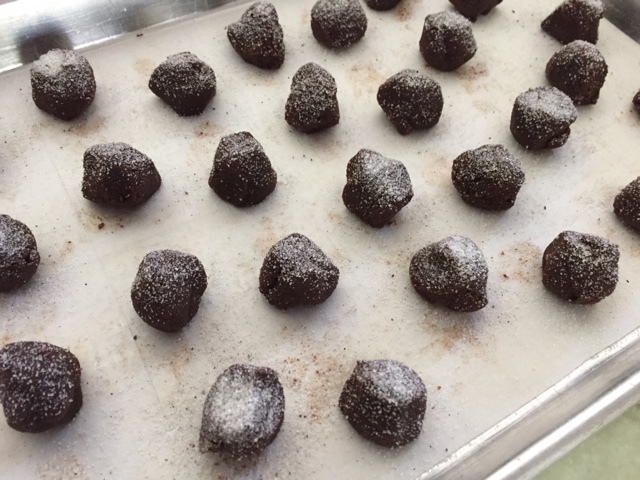 Next I took a portion of dough, formed small nuggets and baked those. They had a more faceted look and were rather pleasing in the small-bite sense of the word. 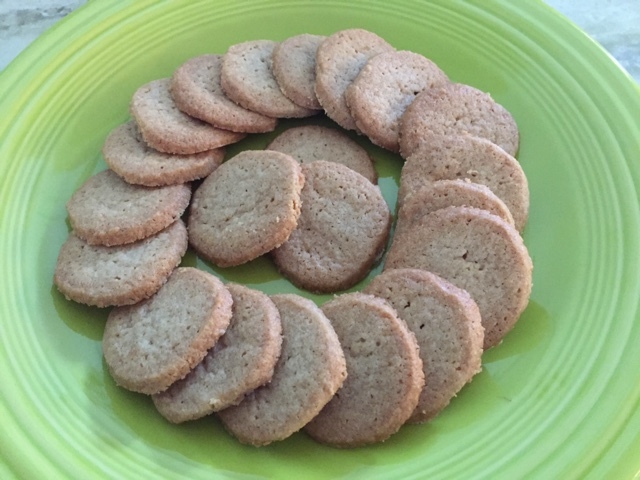 These are GOOD - a nice crunch, butteriness and delicious flavor all the way around. Yes. An ancient Ethiopian grain, teff is loaded with calcium, iron, Vitamin C, fiber, protein and more. 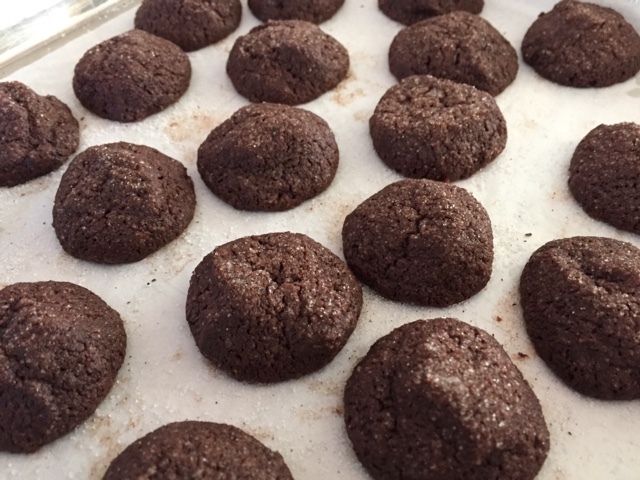 I chose a chocolate sablé recipe for my first trial with this healthy and interesting ingredient. I know - more shortbread. 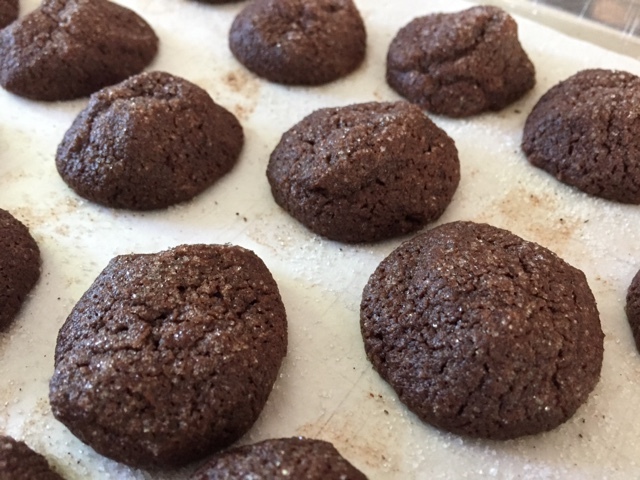 Place 150 g teff flour, 60 g white rice flour, 35 g unsweetened cocoa powder, 135 g sugar, scant 1/2 teaspoon salt and 1/8 teaspoon baking soda in a large bowl and whisk to blend. Add 170 g unsalted chunked up soft butter, 60 g chunked up cream cheese, 1 tablespoon water and 1 teaspoon vanilla extract to the dry ingredients and mix with a fork or spatula until blended into a smooth dough. 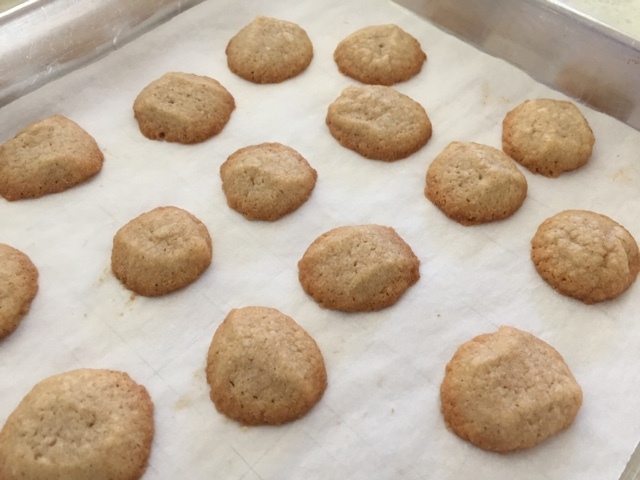 You can form logs as with the oat sablés but I chose to wrap and chill the dough then simply form rough ball shaped pieces sprinkled with a little sugar. 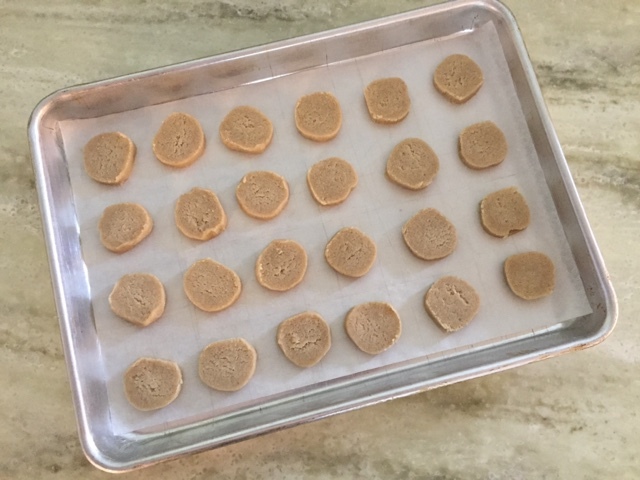 I placed them on a parchment lined sheet pan and held them in the freezer while the oven was heating. Heat your oven to 325ºF and bake for about 25 minutes until firm to the touch. While it's hard to tell if they've browned, I found they looked more dry with a bit of cracking on the surface as a reasonable sign that they were done. These babies did not disappoint! Nice chocolate flavor, a texture with just a hint of fine graininess (not a bad thing, by the way), plus deliciously crisp and buttery. And Steve liked them too! 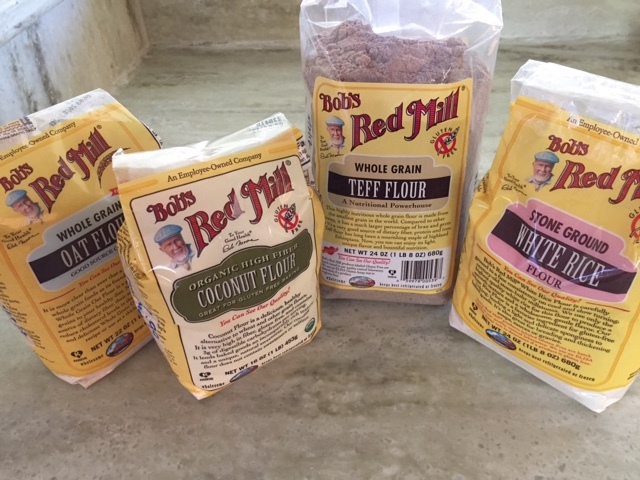 "Flavor Flours" is divided into sections by type of flour, including not only the ones I've used so far, but also chestnut, sorghum, buckwheat, corn and nut flours. There is definitely another world out there folks! Here's to new tastes and textures. Yes indeed.